Dubai, UAE, 13th April 2016: According to a recent report by Euromonitor International, global value sales for skin care is expected to exceed US$131 billion in 2019. It will remain beauty's biggest category adding some US$20.1 billion to its value over 2014- 2019. This will be mainly driven by emerging markets in the Middle East, Asia Pacific including China which will account for nearly 60% of skin care's absolute value growth by 2019. Skin care was the main topic at the recently concluded Dubai Derma 2016 wherein French beauty brand LPG, the world leader in natural cellular stimulation, showcased its latest beauty and wellness solutions. It was held from 12th to 14th April 2016 at the Dubai International Convention and Exhibition Centre. 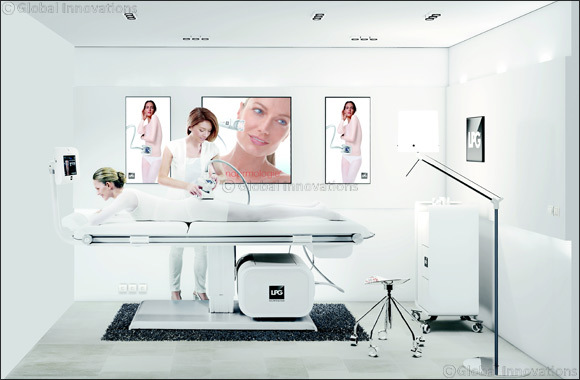 LPG showcased its latest anti-aging and body slimming machines focused on delivering medical and aesthetic treatments at the event. Endermologie, a patented technique by LPG Systems, help improve the appearance of cellulite, but it can also improve blood circulation, relieve minor muscular aches, and improve skin tone and skin radiance. LPG recently launched an innovative LPG Endermologie® Cellular anti-aging renewal treatment, the newest facial treatment from the skin experts in France, and the latest in non-surgical face lifting which is a detoxifying, 100% natural, anti-ageing technique for women of all ages. It revives skin's youthful glow in a natural way, repair and prevent the signs of ageing in a safe gradual manner with no downtime.